With a few days to go into the new year, the omens don't look good politically in 2019, following the Zanu-PF youth league's ominous threats this week against the country's opposition forces, the Daily News can report. In shocking remarks which have evoked bad memories of Zimbabwe's body politic under former president Robert Mugabe's decades of violent and ruinous rule, the ruling party's youth league boss, Pupurai Togarepi, promised that they would crush all dissenting voices in the new year. Mugabe, who was toppled from power in November 2017 - after nearly four decades as Zimbabwe's supreme leader - routinely unleashed violent youths, war veterans and law enforcement agents to crush dissent. At the height of his power, he even boasted at one time that he and Zanu-PF had "degrees in violence" - in mortifying comments which shocked the world. Analysts who spoke to the Daily News yesterday said the youth league's utterances, if acted out, would plunge the country into a bigger political and economic crisis than is currently being experienced. In his remarks, which have been widely condemned, Togarepi warned on social media this week that they would deal ruthlessly with "anyone who tries to remove or attack Mnangagwa" in 2019. "We have been tolerant … before and after elections. We won't take any prisoners in 2019. Any provocation will be confronted head-on. The rules of the game have completely changed. "Don't insult others if you don't want to be insulted. If you insult our leaders we will insult you. If you harass us in any way we will respond with equal measure. If you respect the president's call for peace and unity we'll respect you," he said. "We have been preaching peace while some insult and call for sanctions. Mnangagwa calls for unity and peace and some insult him and his leadership. "The president focuses on economy, others are still in election mode. We can also insult. Your choice will be reciprocated," Togarepi added in his ill-conceived rant. It was not clear yesterday what had triggered Togarepi's rant, although its timing coincided with widespread disgruntlement by long-suffering Zimbabweans who are enduring one of the worst festive seasons since the country's independence from Britain in 1980. The main MDC said the threats by the Zanu-PF youth league were regrettable, but added that they would not stop them from pressuring Mnangagwa's government into addressing the country's deepening economic crisis. "His (Togarepi's) statement is criminal and unfortunate. In an era where countries are competing and bragging about innovation, transformation and opportunity creation, it is shocking that a senior member of a political party brags about the violent nature of his organisation. "Togarepi is a national embarrassment who unfortunately represents the wider violent nature of Zanu-PF," MDC spokesperson Jacob Mafume said. Togarepi's threats came as popular dancehall musician Winky D was forced to ditch a show in Kwekwe last week, after rowdy crowds - said to be Zanu-PF sympathisers - threw missiles at the stage in protest over his presence in the gold mining town. Winky D is currently riding high with his new offering titled KaSong KeJecha, which has found resonance among MDC supporters who popularised the "kudira jecha" statement when Chamisa approached the Constitutional Court (Con-Court) in August - after he rejected the July 30 presidential election result. "Kudira jecha" is Shona street lingo which loosely means playing a spoiling game. Political analysts also told the Daily News yesterday that Togarepi's statements exposed the culture of "Mugabeism" which was still rampant within many sections of Zanu-PF when it came to dealing with dissenting voices. "Togarepi's statements betray the truth about Zanu-PF's view and approach in dealing with dissenting voices, which is an indication of the continuation of the Mugabe politics. "These messages undo the cheap talk that the ED government is about democracy and economic revival since these people are close associates of ED. "We can say without doubt that these people's views represent those of the leadership and in this regard Zimbabwe is in for more years of authoritarianism," political analyst Rashweat Mukundu said. 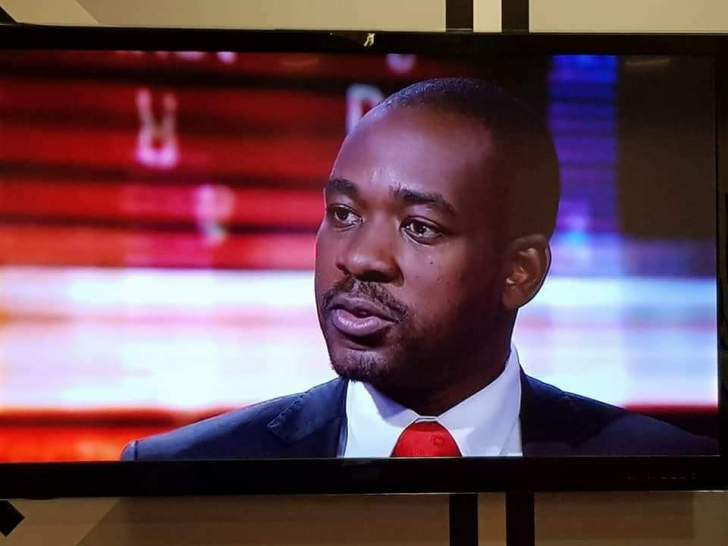 Chamisa has been brawling with Mnangagwa ever since he narrowly lost the hotly-disputed July 30 presidential election - whose result he vigorously challenged at the Con-Court. "I told him that there is no confidence (in Zimbabwe) because there is no political stability ... the elections were rigged. "The elections were rigged because the result of what the people voted for was not the one that was announced. So, there is need to go back to what the source of the problem is," Chamisa said of his meeting with Ramaphosa in Pretoria. In 2008, the neighbouring country's former president, Thabo Mbeki, was instrumental in brokering talks which led to the formation of a GNU between Mugabe and the late MDC founding leader Morgan Tsvangirai - following that year's hotly-disputed elections. The results of those elections were withheld for six long weeks by stunned authorities - amid widespread allegations of ballot tampering and fraud, which were later confirmed by former bigwigs of the ruling party.